Access roads are smaller than typical roads and their purpose is to provide access to places that could not otherwise be reached by limited-access roads. These roads serve an important purpose for those living on or conducting business on private property. 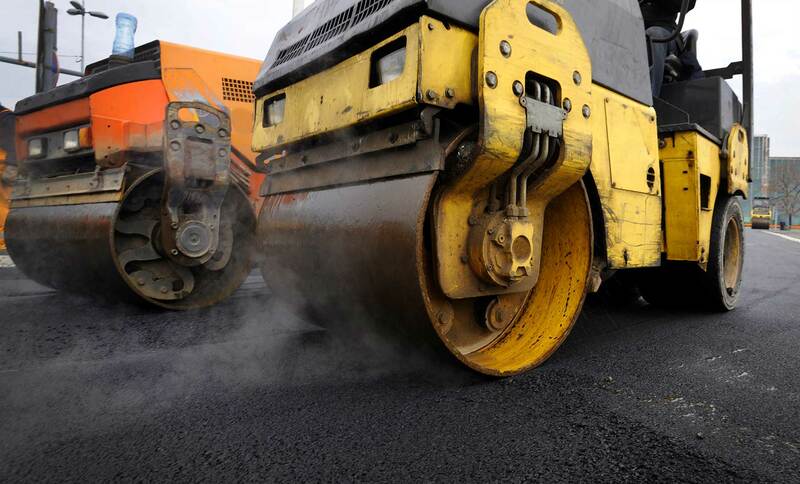 For trusted asphalt road paving and road resurfacing for access roads, call Hal’s Construction now. Asphalt is the preferred choice for road paving and road resurfacing for access roads in the greater Portland, OR area. As an extremely versatile paving material, it is the ideal choice for constructing, repairing, and resurfacing access roads. It is no wonder that asphalt is the ultimate choice as it is durable, popular, road tested, and easy to maintain. In addition, access roads paved with asphalt are speedy to construct resulting in reasonable labor costs. Furthermore, when access roads need maintenance and repairs, the use of asphalt makes these jobs quick and easy. If you are in the market for asphalt road paving or asphalt road resurfacing for access roads, call Hal’s Construction. We have the experience to provide skillful services that you can count on. Proudly serving the asphalt road paving and resurfacing needs of those in the Beaverton, Tualatin, and Gresham, OR areas. Alleyways are narrow walkways, or passageways in between buildings that are generally reserved for those walking on foot. Similar to breezeways, which are covered narrow passages between buildings, alleyways are extremely useful in providing additional access to the buildings they serve. Often times, alleyways are found behind, or in between older buildings. As such, they are usually brittle and cracking from many years of wear and tear. Asphalt is hands down the best choice for alleyway road paving and resurfacing. Hal’s Construction is experienced in making quick work out of paving new alleyways and resurfacing old alleyways that have seen better days. Alleyways that are dated and in need of maintenance pose safety hazards for those that use them. Since alleyways and breezeways are typically reserved for pedestrians, continual neglect of these purposeful walkways can result in injury especially in the dark or during harsh weather. For competent asphalt road paving and resurfacing for alleyways and breezeways call Hal’s Construction today. You will be amazed how quickly we will get the job done, and the impressive quality of our work. We proudly serve the alleyway construction and maintenance needs of those in Portland, Tualatin, Gresham, and Beaverton, OR. Side roads are extremely important as they lead off of main roads and are typically residential roads. They can be categorized as minor highways or can even be an unmarked road. Driving or walking down side roads that are not paved can mean difficulties for pedestrians and motorists alike especially in the dark or during harsh weather. Side roads are much more accessible when they are paved with asphalt. For high quality asphalt road paving and resurfacing for side roads in the greater Portland, OR area Hal’s Construction is available. Generally, side roads do not see heavy traffic however this is dependent on the location of the side road and whether or not it is located within a residential area. Hal’s Construction has the knowledge and expertise to construct and resurface side roads of any size and stature. We also have the experience to design a side road should that service be required. Make the accessibility of the side roads in your area available to everyone in your community with ease and call Hal’s Construction now to learn about our asphalt road resurfacing and asphalt road paving services. Once the side road is freshly paved, those that will benefit will wonder how they got along without it. One great perk of subdivisions are the beautifully paved roads, sidewalks, and driveways. One would not expect to see a subdivision that did not have freshly paved asphalt roads, and side roads. Subdivisions should always exude a clean, and uniformed look. The roads in your subdivision heavily influence curb appeal. Hal’s Construction specializes in the new construction of asphalt road paving for subdivisions throughout the greater Portland, OR area including Beaverton, Tualatin, and Gresham. We have the experience to deliver smooth, and attractive asphalt paved roads that residents are sure to benefit from and appreciate. As an extremely versatile paving material, it works wonderfully for roads, side roads, and driveways. Older subdivisions will no doubt need continuous maintenance of roads, and sidewalks to keep up with residential safety needs and curb appeal. 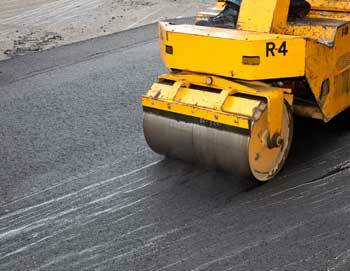 For asphalt road maintenance needs, Hal’s Construction confidently offers road resurfacing services as well. Keep your residents safe and happy by calling today to schedule a maintenance assessment. We can help you keep your subdivision asphalt roads functioning at their top performance. Hal’s Construction also offers maintenance plans that are guaranteed to keep your subdivision perfectly maintained for years to come.